*Free Version Provides Preview of Deleted or Corrupt Photos & Videos. The one and the only software that you would ever need to get back your lost or deleted photos. Works on a wide range of storage devices such as SD cards, SSDs, hard drives, and USB flash memory etc. Regardless of how the photos were shot and the storage — you can always rely on Stellar Photo Recovery Premium to recover them all- quick and easy - with original date-timestamp. What makes it even more appealing is that the software allows to recover not just one or two but ANY number and type of files in a single shot! 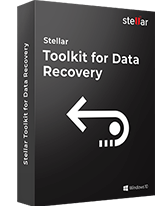 Besides getting back your lost or deleted photos, Stellar Photo Recovery Premium also recovers videos and audio files in several type of data loss scenarios. And like for photos, the software offers extensive support for getting back numerous types of video and audio file formats from practically any type of storage media that’s detected on Mac or Windows. 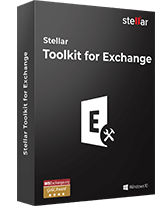 So, give it a try without second thoughts because this is the only software that realizes the potential of a full-stack multimedia recovery solution. It’s not uncommon to have photos so diligently recovered but later found to be useless due to corruption. And therefore the obvious need of users to buy another standalone software to repair the corrupt photos. Well, not anymore… Stellar Photo Recovery Premium saves you from shelling out extra because it not just recovers all the photos but also repairs corruption in images to get back your precious photo collection in pristine condition! The software recovers photos, videos, audio files, plus, also repairs photos…but not just that. The all new Stellar Photo Recovery Premium stretches this fantastic value with bringing video repair too in its fold, which is a first for any photo/video recovery software in the world! Now you can use the same tool and familiar interface to repair corrupt videos and restore them in original form. Be 100% sure before purchase Stellar Photo Recovery Premium. The software gives you the option to preview your recoverable files to make you ensure that recovery is possible or not. Apart from this we are also having 30 day money back guarantee which gives you total freedom to try & test this software. So what are you waiting for, try this amazing software & bring your lost memories back to life. 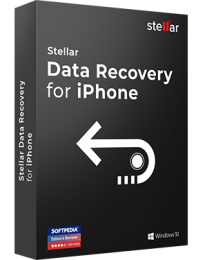 Can I recover specific camera files from Stellar Photo Recovery Premium? Yes, you can recover specific camera files from Stellar Photo Recovery Premium. It supports wide range of digital photo, video, and audio file formats of almost all the popular brands of cameras. In case your camera file type is not in the list of supported formats, you can also add it using Add File Type feature given in the software. What does ‘Sample File’ option means during the video repair process? A ‘Sample File’ is a working file of any size, created from the same camera and of the same format as your corrupt video file. The software uses the information from sample file and repairs the corrupt video. Sample File is required to repair severely corrupt video files. Which photo file formats I can repair with Stellar Photo Recovery Premium? You can repair JPEG, TIFF, DNG, ARW, CR2, CRW, ERF, MRW, NEF, NRW, ORF, PEF, RAF, SR2, RW2, and SRF image file formats with the software. Can the software repair compressed photos and videos? Stellar Photo Recovery Premium can repair compressed videos but not compressed photos. This is because your camera memory card / SD card is not detected by the computer. Sometimes the fault could be with the laptop’s built-in memory card reader. Try by connecting the camera card through an external card reader. Then relaunch the software. You will be able to see your camera in the software. What does the free demo version offer? The demo version of Stellar Photo Recovery Premium lets you Scan and Preview your lost/deleted photos, videos, and audio files. You can also try the Photo Repair and Video Repair utility of the software in the demo. It Scans, Repair and provides Preview of the repaired photos and videos. 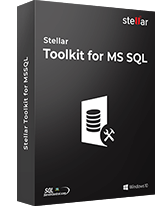 Eventually, to save the recovered & repaired files and use the full functionality of the software, you should buy the ‘Full’ version. 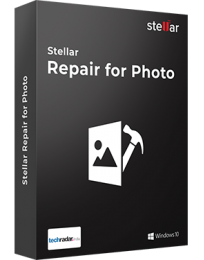 How can I be assuredStellar Photo Recovery Premium can recover or repair my photos and videos? You can download the free demo version to evaluate the results. If you can see the Preview of your lost, deleted or corrupt multimedia files in the demo version, then the software will 100% recover or repair your audio, photo, or video files in the full version. 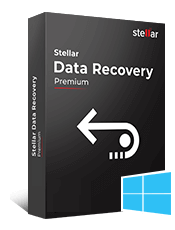 If after buying the software, you are not satisfied with its performance, Stellar Data Recovery offers 30-day, 100% money back guarantee. So you are completely risk-free and secure while purchasing the product with us. Do I need to buy separate license for video repair and photos repair? No, you do not have to buy separate licenses for video repair and photo repair. A single license is used to recover lost multimedia files and repair corrupt photos, movies, and videos. What type of technical support I will get, if unable to recover or repair my multimedia files? Stellar Data Recovery offers 24/5 customer support via call, email, and online submission for its users. For any product related query or technical help, the tech support always responses within 24 business hours. 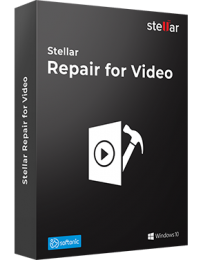 Which video formats can I repair with Stellar Photo recovery Premium? The Premium software efficiently repairs AVI, ASF, WMV, MKV, FLV, DIVX, WEBM, MJPEG, MPEG, AVCHD, MTS, MOV, MP4, M4V, 3G2, 3GP, and F4V file formats. 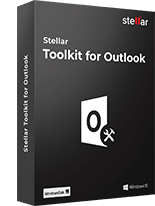 Does Stellar Photo Recovery Premium support Linux file system? 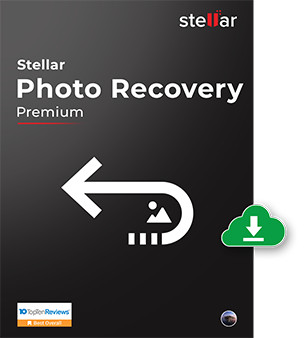 Yes, the new Stellar Photo Recovery Premium supports recovery from Linux-based drives, SD cards, USB flash drives etc. Does this software recovers deleted file from CD or DVD? Yes, Stellar Photo Recovery Premium restores deleted multimedia files from CD and DVD. Yes, the Premium software recovers and repairs videos shot with drones. It can also recover and repair CCTV, dash cam, iPad, iPhone and Android phone videos. You can repair almost all kinds of corrupt videos. Efficiently fix grainy, jerky, truncated, out-of-sync, or inaccessible videos giving any kind of error.